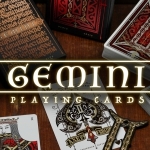 Lorenzo Gaggiotti is an old friend of Max Playing Cards. I have shared with you all his previous works, since he begun with Requiem, a project full of emotion and a true story behind it. 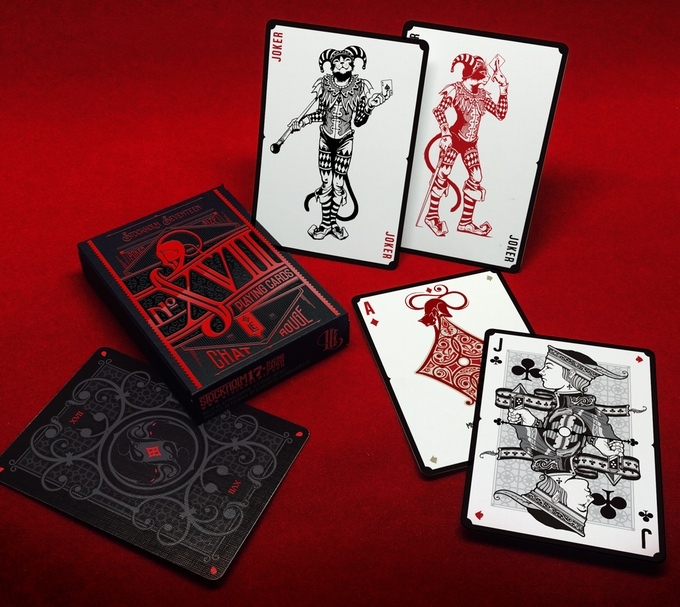 After that, he has made a lot of amazing works and has also funded his own company, Stockholm 17 Playing Cards, a seal of high quality designed decks. 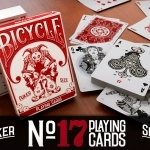 One year ago, Lorenzo printed his first No17 deck for promotion purposes within the CardLauncher project. 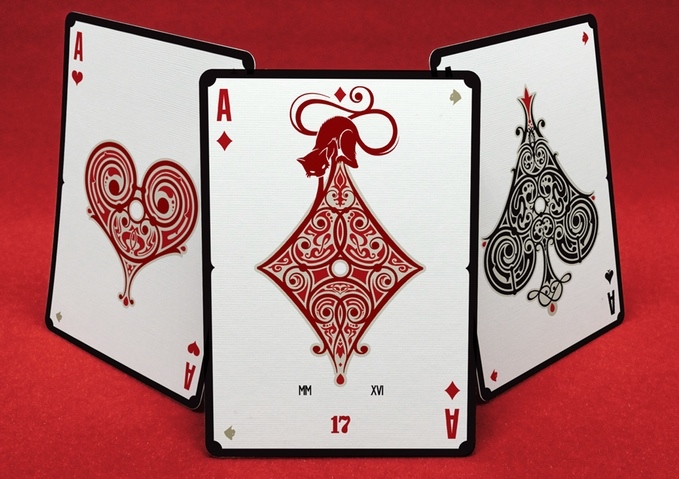 He improved the designs and released some months ago the No17 project on Kickstarter. 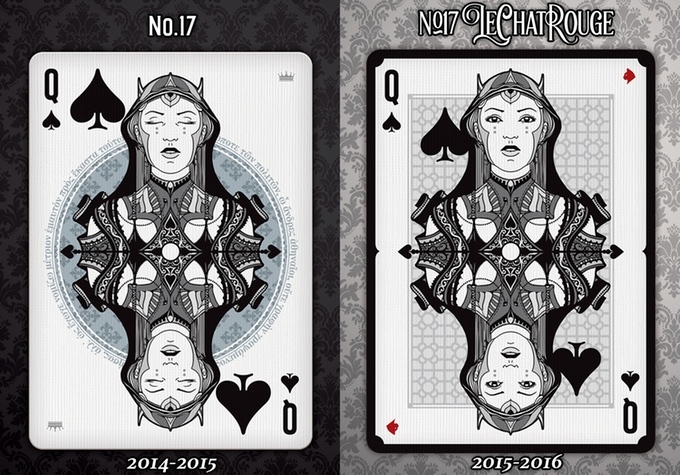 Once all the decks of that campaign have been delivered, he has just launched the last Nº17 deck: LE CHAT ROUGE. For this last version, Lorenzo wanted to make something really special. 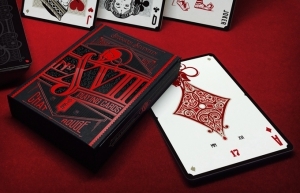 He wanted to see No17 evolving and add many improvements to give it a more classic touch. He has been improving the designs to a higher level using some elements he couldn’t use in the previous version and has also changed the color pattern using black and red as the main protagonists. 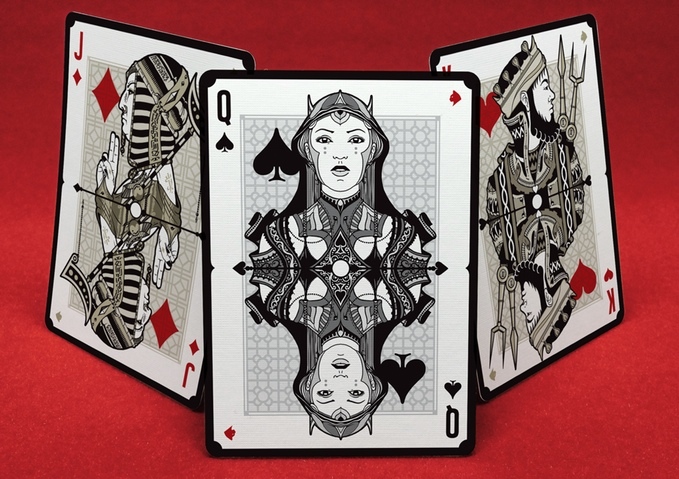 Without losing his very personal style present not only in this deck but in everything created by him, there is something deeper and more attractive in this new artwork. 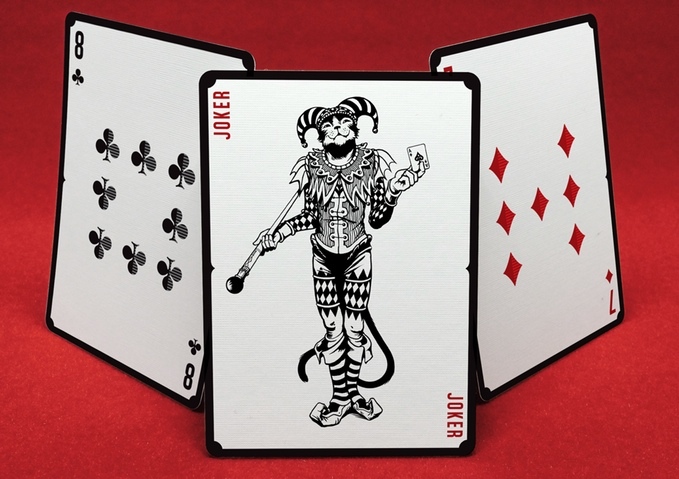 Some of the court cards characters, that remain the same people, have been tweaked a bit, the pips have been also improved giving them more depth and the jokers are now jester-cats. 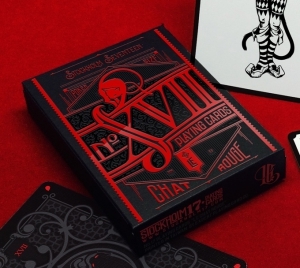 There is also some changes in the ace of diamonds that includes a chat rouge (red cat). 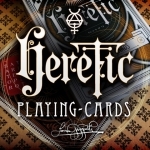 A deck full of extras that will be simply awesome. 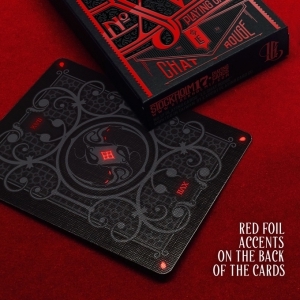 Furthermore, there will be an exclusive Red Label deck in the middle campaign (similar to the crown edition in the previous project). 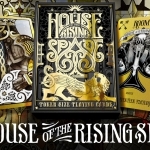 Less than 100 of these decks will be produced with a customized tuck case made by Lorenzo using a lasercut sleeve and gold foil. 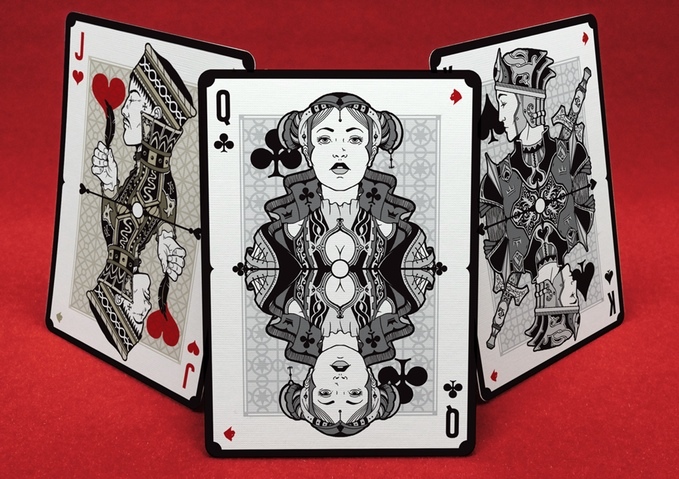 The deck will be printed by the Expert Playing Card Company because Lorenzo has had a fantastic previous experience with them and they are able to make a perfect centering and printing, something essential for this design with black borders. The campaign is alive and you can visit the project website and raise your pledge.